Show passion and dedication for the books. Work independently to complete assignments. Be prepared to work up to 2 hours a week outside of class time. Lead yearbook staff for the good of the book and the staff. Do an extensive amount of interviewing and writing. Work with adults, community leaders, and parents to sell business ads in the community and advertise sales of senior ads. Meet deadlines and be responsible for completing numerous pages, designing layouts, proofing, editing, photographing, etc. Come to class on time and prepared to work. Because it is a class, it takes precedence over ALL extracurricular activities! Editor-in-Chief - Must be a senior. Needs to be able to lead the staff. Oversees both design and production of the book. Takes a lead role in making sure deadlines are met by those they are assigned to. Works with senior editors to set up a ladder and come up with a theme. Attends all meetings including the advisors meetings with the publishing representative and or contracted professional photographer. Helps with yearbook sales, fundraisers, and advertisement sales. Works with the advisor and the principal to make sure the yearbook is on track throughout the school year. Holds the team together. Elementary Editor-in-Chief - Must be a senior. Needs to be able to lead the staff. Oversees both design and production of the elementary book. Takes a lead role in making sure deadlines are met by those they are assigned to. Works with senior editors to set up a ladder and come up with a theme. Works with and organizes the mentees for 2nd semester. Helps with yearbook sales, fundraisers, and advertisement sales. Works with the advisor and the Elementary School Representatives to make sure the yearbook is on track throughout the school year. Helps the Editor-in-Chief Hold the team together. Business Manager - Must be proficient in Microsoft Office Suite, especially Excel. Able to work with others and Develop a committee that will oversee all Yearbook sales, advertisement sales, and fundraising monies. MUST Establish a working budget and keep staff on track with spending and funding. 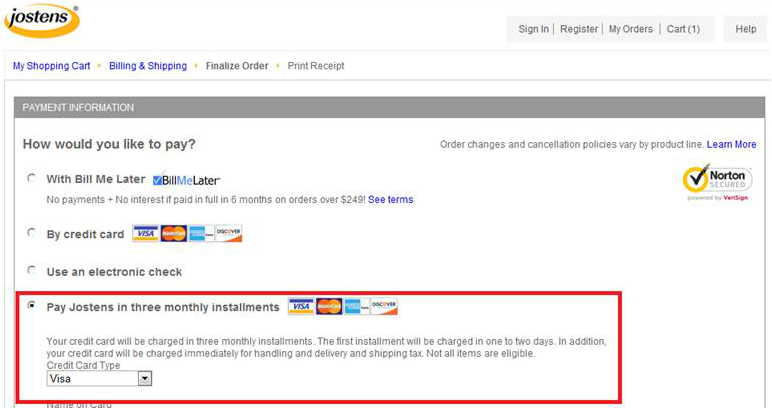 Works closely with the Business Office, make deposits and create a file for receipts, orders and invoices. Helps with yearbook sales, fundraisers, and advertisement sales. Chief Sr. Copy Editor - Needs to be able to lead the staff. Oversees all writing in both yearbooks; including captions, stories and senior quotes. Takes a lead role in making sure deadlines are met by those they are assigned to. Goes out to find student writers for each of the spreads and collects, edits and types out their final drafts. Works with senior editors to set up a ladder and come up with a theme. Attends all meetings including meetings with mentees. Helps the Chief Editors with page design, allowing ample room for captions,stories and quotes. Helps with yearbook sales, fundraisers, and advertisement sales. Senior Photo Editor - Needs to be able to lead the staff. Gathers senior candids and makes sure they are returned (in charge of making announcements to seniors), Oversees the Senior spread and all other Portrait pages. Works with senior editors to set up ladder and come up with theme. Helps with yearbook sales, fundraisers, and advertisement sales. Sr. Design Editor - Needs to be able to lead the staff. Oversees design of the book (cohesive pages, template layouts on spreads, design of cover, overall color scheme and font choices). Takes a lead role in making sure all theme elements are followed throughout the book; including page numbering, headline fonts, subtle theme elements). Edits the design of spreads and pages in a kind manner, taking the designer's perspective into account. Makes sure photos and captions are physically adjusted where needed. Works with the mentees to explore different designing techniques. Helps with yearbook sales, fundraisers, and advertisement sales. Junior Photo Editor - Must be a junior or senior. Needs to be able to work with senior editors. Helps Senior Photographer with all photo shoots for the book including pep rallies, club shots, faculty photos and superlatives. Helps the Senior Photo Editor layout and create the Senior spreads. Helps senior editors set up the ladder and come up with a theme. Helps with yearbook sales, fundraisers, and advertisement sales. Works with the Chief Sr. Copy Editor to guarantee that all captions for portrait pages are easily readable under the portrait pictures. Jr. Design Editor - Needs to be able to work with the staff and make recommendations that will improve the design of the books. Helps Oversee the design of the book (cohesive pages, template layouts on spreads, design of cover, overall color scheme and font choices). Helps to make sure deadlines are met by those they are assigned to. Edits the design of spreads and pages by working with others to improve on their ideas. Makes sure photos are adjusted where needed. Works closely with mentees to help design the Elementary book. Helps with yearbook sales, fundraisers, and advertisement sales. Jr. Copy Editor - Needs to be sensitive to others when critiquing their writing skills. Will need to have a Thesaurus handy to stimulate interest in the writing. Helps oversee all writing in both yearbooks; including captions, stories and senior quotes. Takes a supporting role in making sure deadlines are met by those they are assigned to. Suggests student writers for each of the spreads and collects, edits and types out their final drafts. Works with senior editors to set up a ladder and come up with a theme. Attends all meetings including meetings with mentees. Helps with yearbook sales, fundraisers, and advertisement sales. Oversees the design of all promotional and printed materials. Makes sure that posters get hung properly and taken down when event is over. Organizes all the school picture orders when they come in and makes sure they are delivered to students. Keeps all equipment organized and ready to go...this includes: cameras, camera bags, batteries, sd cards, flash drives and other equipment. Oversees all photo shoots for the book including pep rallies, club shots, faculty photos and superlatives. Takes a lead role in making sure we have the photos needed and uploaded for each deadline. Is able to motivate others to use the equipment in a way that gives us unique photos to choose from. Incorporates the theme idea into the photographs when able. Makes a goal of finding at least one mentee to share the passion of photography. Is willing to review the photography lessons and invest in self-guided learning.Helps with yearbook sales, fundraisers, and advertisement sales. Is to involve everyone in this year's theme. 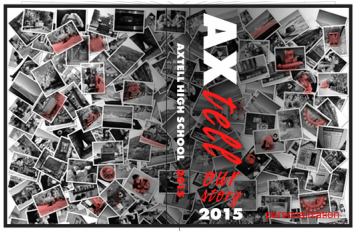 The Axtell Yearbook is a student publication, designed and created by YOU, the students of Axtell...Make sure you are a part of it and order your 2016 yearbook today! !